Tech for Change - September Round Up! Weeeee! September's been one helluva month! Tons of stuff going on in the non-profit world and as always, there have been some fantastic examples of technology being used for the greater good. Namaste to you too. Every September, charity: water runs the September Campaign where they ask all those celebrating birthdays in that month to give up presents and instead, ask for a donation to help build a well in one of the developing nations that they're currently working in. This year charity: water celebrated it's fourth anniversary by drilling a well for the Bayaka people in the Central African Republic, bringing them the essential safe and clean drinking water that they need. Aside from raising an incredible $682,638 for the water project, charity: water effectively and impressively made use of the live-streaming technologies available to us today to show us how they conduct their work on the ground in this remote country. On September 7th, they broadcasted the live drill via their Facebook page, although with much difficulty. Take a look at the video below that explains the challenges they had to face during this live drill. There are so many things that NPOs and charities can learn from this example. Being open and honest about both their successes and failures, charity: water gives a whole new meaning to transparency. 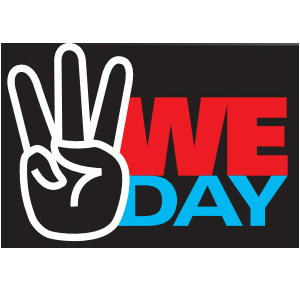 Free the Children's annual 'We Day' brings together youth from all across Canada to celebrate and inspire positive change within their communities and beyond. One of the most impressive aspects of this year's campaign (aside, of course, from the actual day's festivities) was what they did with their Facebook page. Such a simple concept but it's potential is really très incroyable! For every 'like' that the page gets, Free the Children's sponsors have agreed to donate $1 to the organization. That's one click of a button that takes a person quite literally less than a second...could there be an easier call to action than that? The current 177,387 'likes' can answer that for you. The week of September 20th was a big one as world leaders all convened in New York City for the 2010 United Nations Millenium Development Goals (MDG) Summit. Acknowledging the importance and potential impact digital media has to influence people around the globe, the United Nations Foundation partnered with Mashable and 92nd Street Y to host the first ever UN Week Digital Media Lounge. Described as "a place for bloggers to have exclusive in-person access to experts on issues like poverty, hunger, HIV/AIDS, women's health and climate change, the UN Digital Media Lounge was a unique and innovative way to include more voices to this ever crucial conversation.